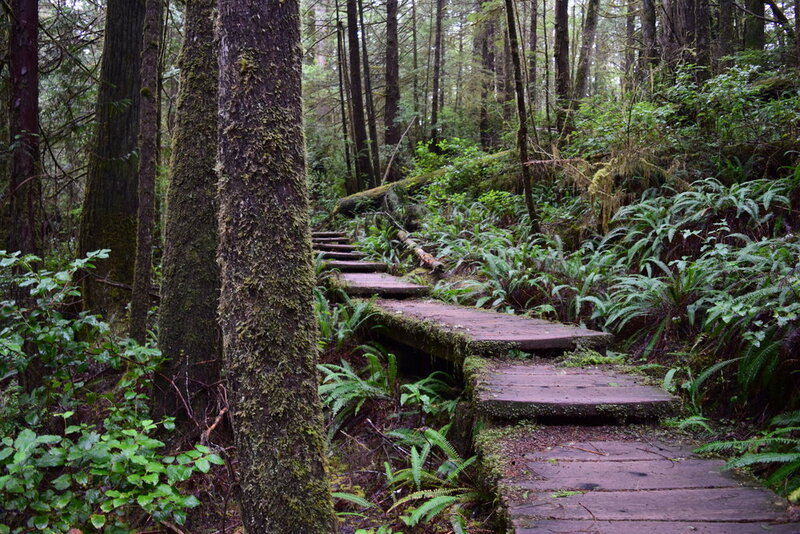 Ozette Triangle - Olympic Hiking Co. 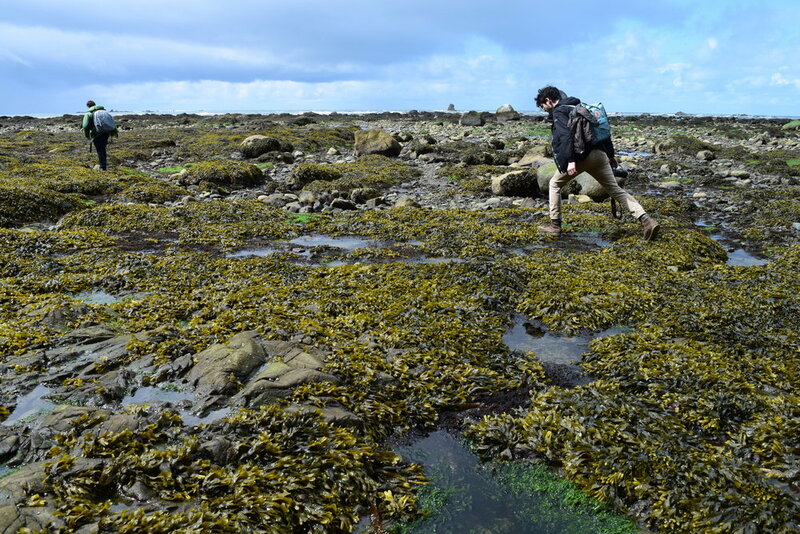 The Ozette Coast is one of the hidden gems and most isolated hiking experiences along the Olympic Wilderness Coast. A 20 mile one-way spur road leads you to the Ozette Ranger Station, where we begin our 9.4 mile loop hike. 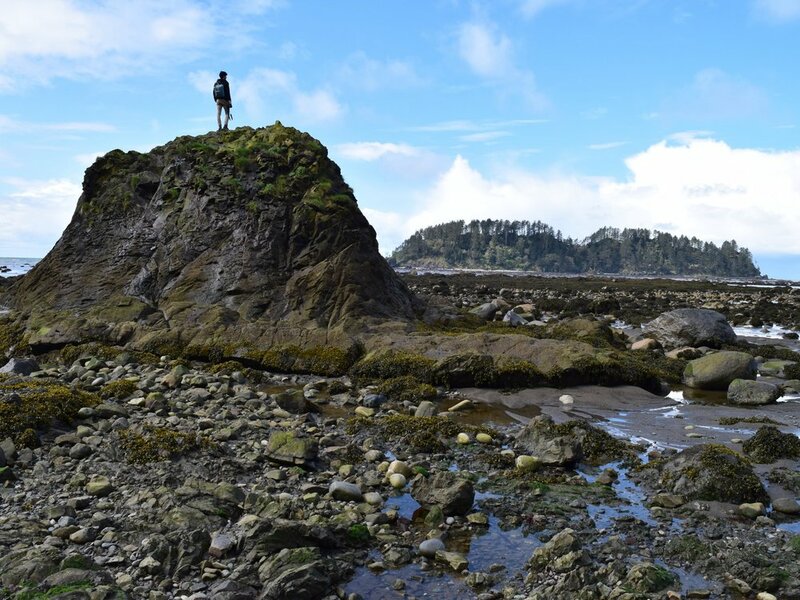 The Ozette Triangle consists of the Cape Alava trail (3 mi), low tide coastal hiking (3 mi), and the Sand Point trail (3 mi). 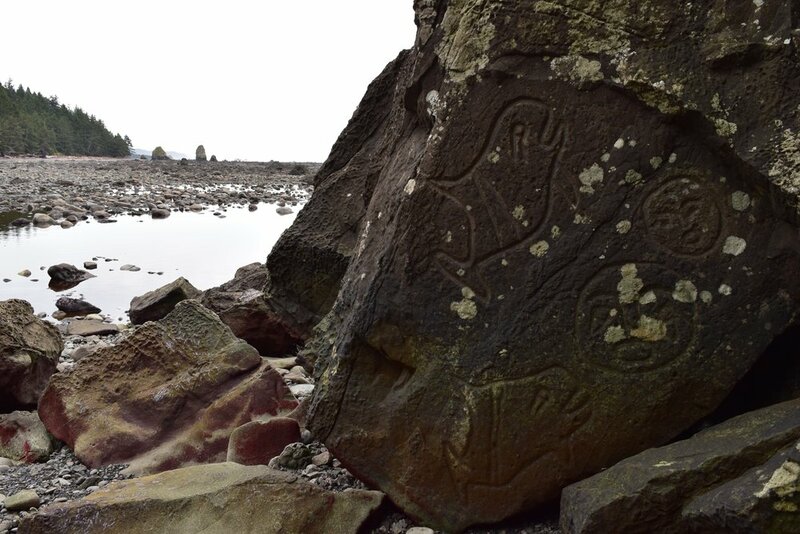 What makes the Ozette Triangle one of the top adventure in Olympic? Incredible boardwalk trails, the rugged beauty of the Olympic Coast, and being at the most western point in the contiguous USA at Cape Alava Please note that completing the coastal portion of the hike can only be done during low-tide, thus we've carefully set up specific tour times that align with the low tide schedule.